David Liddiard OAM has devoted himself to youth welfare and development, Indigenous health and education and Indigenous employment and participation for over 30 years. 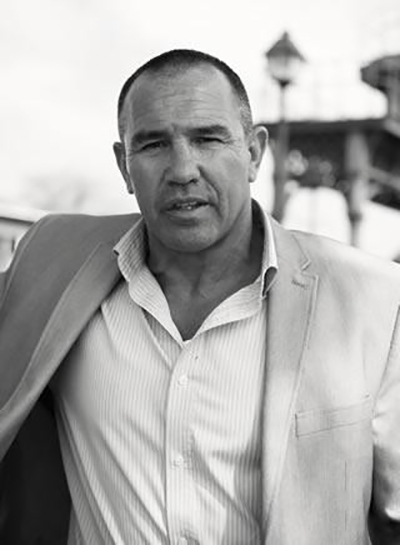 David was a successful sportsman, playing in the National Rugby League, was the recipient of the Daily M Rookie of the Year in 1983, played in two grand finals for the Parramatta Eels in 1983 and 1984 and won the Premiership in 1983. In 1995 he founded the National Aboriginal Sporting Chance Academy (NASCA) which provides real opportunities for Indigenous youth in sport and education. Having seen first hand what opportunities can be opened through sport David has long promoted sport as a bridge to a brighter future. David has spearheaded initiatives which provide practical support to business large and small with workplace participation strategies for Indigenous talent. He has worked with programs at both national, state and territory levels, which focus on economic leadership development and has presented at numerous forums, conferences and events. David has led numerous educators and corporate CEOs on cultural immersion programs to remote Indigenous communities aiming to close the gap between Indigenous and non-Indigenous Australians through interactive cultural experiences and educational activities.